Saving energy is important issue for many people and countries. We want to keep our environmental footprint as small as possible and reduce unnecessary energy consumption. We need to save energy and reduce waste of energy when no-one is using it. Home lights are often switched on when people at home do not stay at room. We want to save energy and turn light off when person is not in room or use external lights wherever it is possible. 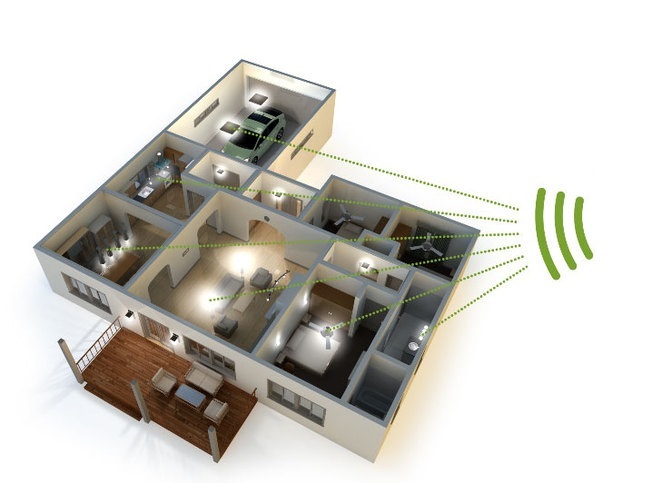 Developing a simple solution for intelligent light control we actually do a first steps of introducing a smart house concept and home automation which can be later expanded for more sophisticated system. When motion is detected by a passive infrared (PIR) sensor, light will stay on for at least a period of time, on average 2 minutes, so that it can provide illumination for this time if the person that triggered the sensor stays in the area. Then, after this period of time has elapsed, it will shut off. If the person continues moving in the vicinity of the motion sensor, it will then be triggered again and stay on for 2 minutes again. This cycle will continue as long as needed. Control panel will record the saved energy and presents it on the LCD screen. User can also adjust light intensity either manually or automatically from the control panel. Automatic intensity control uses light intensity sensor to detect ambient light and necessary illumination. 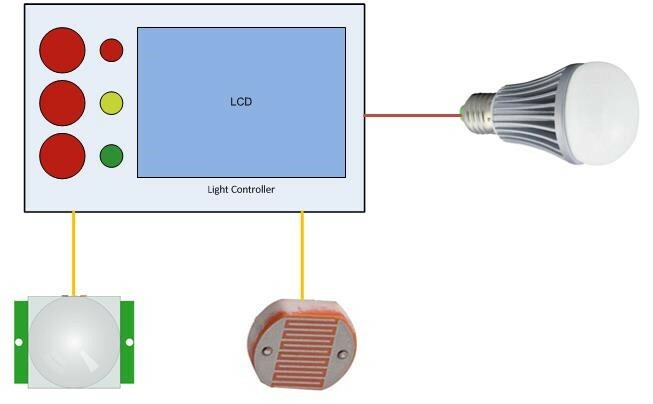 This simple system demonstrates how to develop a smart system where lights are controlled by environmental conditions like ambient light intensity and people in the room. Based on this experience there is easy to expand the system with more sensors and lights to control whole building or make software algorithms more intelligent and take into account also date, holidays and other parameters.